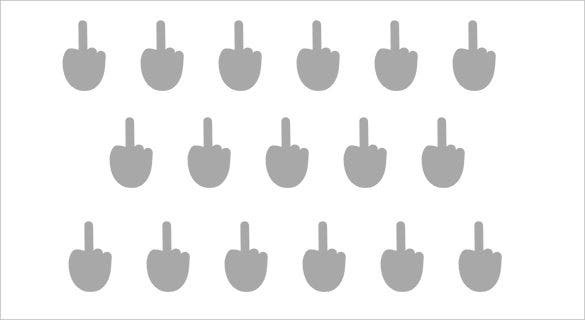 The Middle Finger Emoji supports skin tone modifiers. A yellow skin tone is shown by default, but can be changed by applying an Emoji modifier. 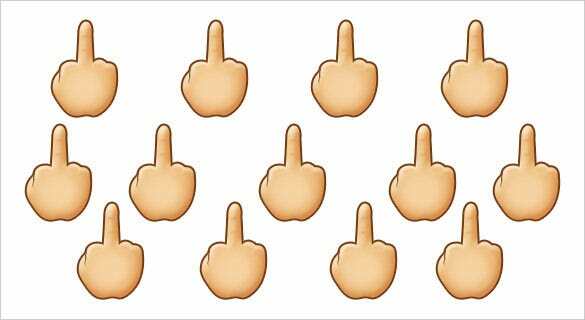 Middle Finger Emoji+ Emoji Modifier Fitzpatrick Type-1-2: displayed as a Pale Skin Tone. 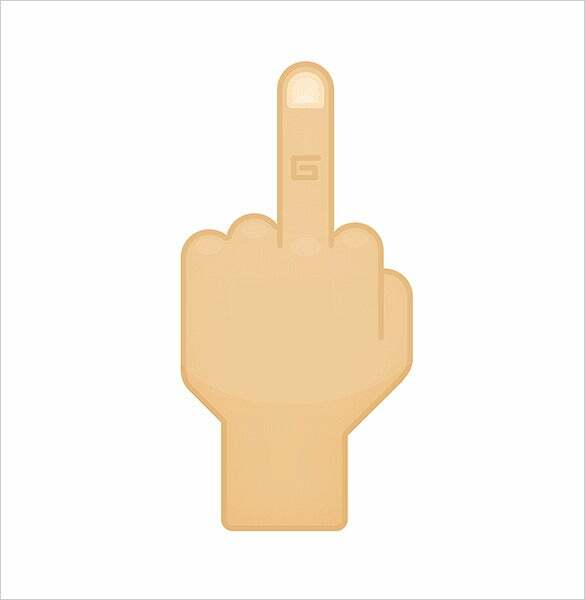 Middle Finger Emoji+ Emoji Modifier Fitzpatrick Type-3: displayed as a Cream White Skin Tone. 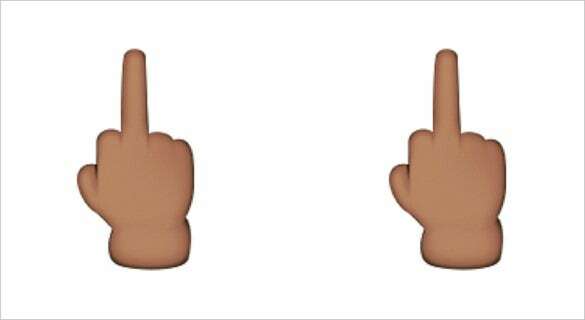 Middle Finger Emoji+ Emoji Modifier Fitzpatrick Type-4: displayed as a Moderate Brown Skin Tone. 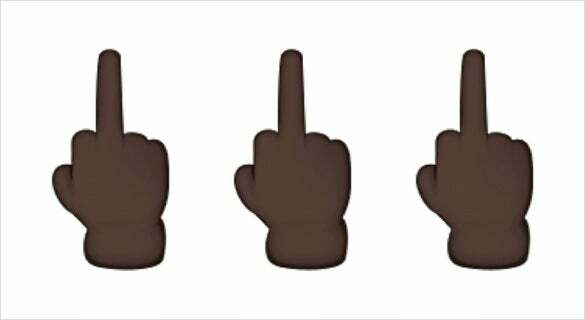 Middle Finger Emoji+ Emoji Modifier Fitzpatrick Type-5: displayed as a Dark Brown Skin Tone. 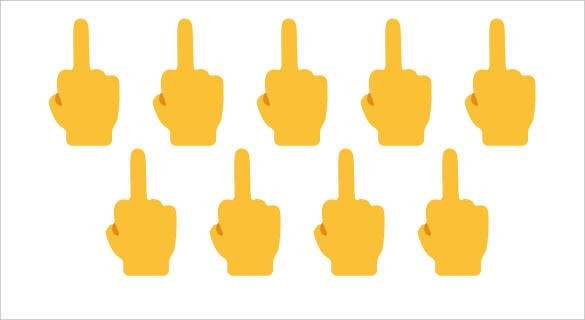 Middle Finger Emoji+ Emoji Modifier Fitzpatrick Type-6 displayed as a Black Skin Tone. > How to get access to the much Awaited Emoji? Go to Settings → General→ Software Update on iPhone, choose download and install. Connect your phone to a PC and update via iTunes. Once you agree to Apple’s Terms and Conditions of Service, the download will begin. 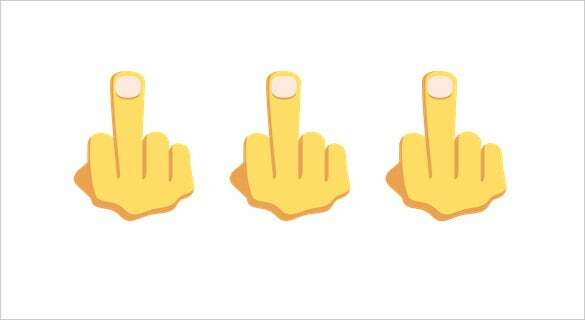 Earlier the middle finger was one of those lost-in-translation Emoji. 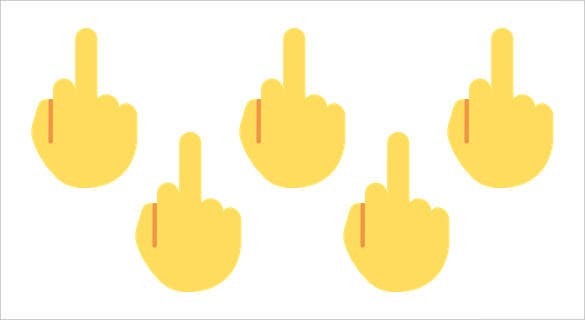 If you wanted to send the middle finger to someone, you had to take a picture of your extended finger, crop it, make adjustments, and finally send it. 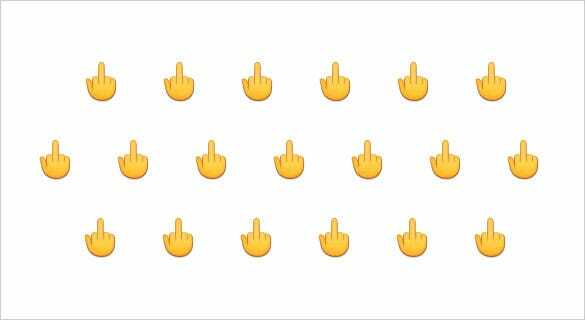 Now that the middle finger Emoji is supported by almost all operating systems, do not go crazy in using it. Treat this like your last resort and send to only those who truly deserve it or to close friends who will not perceive it in a wrong sense. 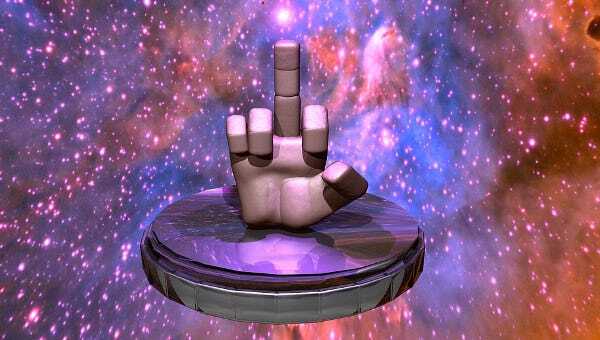 > Why should you re-think before posting the Middle Finger Emoji? Most people are aware that showing the middle finger to someone in the UAE is punishable by law. 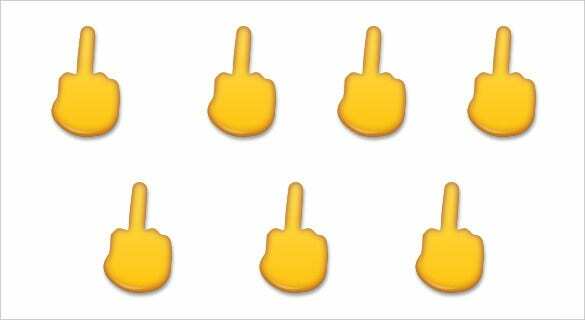 However, one should also know that sending the Middle Finger Emoji in a message or on social media in the UAE is illegal and can lead to fines up to Dhs500, 000 or even jail. However, in order to take action, the police will have to receive a complaint from the receiver of the image. 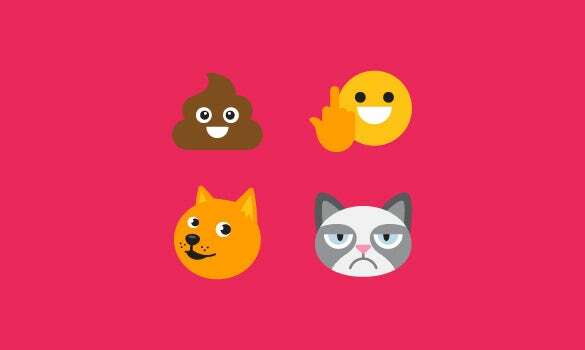 Therefore, the Middle Finger Emoji shared among friends for fun, will not automatically land anyone in trouble.